Known as the ‘Godfather’ of spinal surgery in Australia, Dr Geoff Askin joined BrizBrain & Spine in February 2014 and has been a practicing Orthopaedic Spine Surgeon since 1989. He brings to the group extensive knowledge in the area of paediatric and adult spinal surgery. He completed his Fellowship in Nottingham as well as in Switzerland and Germany. He served as the Director of Orthopaedics at the Princess Alexandra Hospital in the early 1990’s as well as a locum position as Director of the Spinal Injuries unit. Currently he is a Senior Spine Surgeon at the Lady Cilento Children’s Hospital (LCCH) in Brisbane as well as in private practice at the Mater Private. 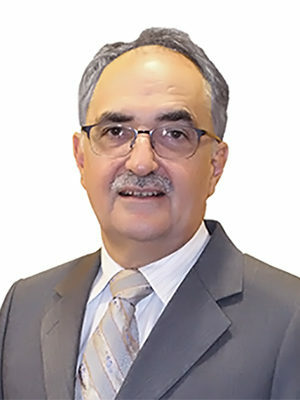 With a keen interest in minimally invasive surgical techniques for scoliosis, he has pioneered thorascopic correction of idiopathic thoracic scoliosis. The LCCH group has the world’s biggest series of thorascopic scoliosis correction. He is also interested in the surgical management of early onset scoliosis particularly with growth friendly surgical techniques. Dr Askin founded the Paediatric Spine Research Group in 2002 in conjunction with the Department of Biomedical Engineering at QUT. Now named the Biomechanics and Spine Research Group, this group has been active over the years in the area of both basic and clinical research related to the spine with 101 (internationally peer reviewed) medical journal papers and 10 book chapters having been published. Dr Askin has been supervising a Spine Fellowship since 1994 and to date has assisted in the training of some 36 spine surgeons. Dr Askin was the surgeon who in January 2018 removed a bullet from a five year old’s spine after he was accidentally shot in the face by his cousin. Read the story, here. When a little boy was ‘internally decapitated’ in a car accident, Dr Askin was there to reattach his head to his spine. When 10-year-old Chelsy Jones needed a lengthy operation to correct a spinal deformity, Dr Askin enlisted the help of QUT biomedical engineer, Dr Paige Little, to custom design a novel support mattress. Read this heart warming story here. Reynolds LA, Izatt MT, Huang EM, Labrom RD, Askin GN, Adam CJ, Pearcy MJ, 2017. Is vertebral rotation correction maintained after thoracoscopic anterior scoliosis surgery? A low-dose computed tomography study. Scoliosis and Spinal Disorders 12:22. Davis CM, Grant CA, Pearcy MJ, Askin GN, Labrom RD, Izatt MT, Adam CJ, Little JP, 2017. Is there asymmetry between the concave and convex pedicles in Adolescent Idiopathic Scoliosis? A CT investigation. Clinical Orthopaedics & Related Research 475(3):884-93. Grant CA, Newell N, Izatt MT, Keenan BE, Askin GN, Labrom RD, Pearcy MJ. A comparison of vertebral venous networks in adolescent idiopathic scoliosis patients and healthy controls. Surgical & Radiologic Anatomy ePub June 6, 2016. Loch-Wilkinson T, Izatt MT, Labrom RD, Askin GN, Pearcy MJ, Adam CJ, 2016. Morphometric analysis of the thoracic intervertebral foramen osseous anatomy in patients with adolescent idiopathic scoliosis using low dose computerized tomography. Spine Deformity 4(3):182-92. Yong MR, Saifzadeh S, Askin GN, Labrom RD, Hutmacher DW, Adam CJ. Biological performance of a polycaprolactone-based scaffold plus recombinant human morphogenetic protein-2 (BMP-2) in an ovine thoracic interbody fusion model. Accepted European Spine Journal Oct 25, 2013. Yong MR, Saifzadeh S, Labrom RD, Askin GN, Hutmacher D, Adam CJ Establishment and characterisation of an open mini-thoracotomy approach to an ovine thoracic spine fusion model. Under review Tissue Engineering Part C: Methods, ePub July 2013. Izatt MT, Adam CJ, Verzin EJ, Labrom RD, Askin GN. CT and radiographic analysis of sagittal profile changes after thoracoscopic anterior scoliosis surgery. Scoliosis 2012 7:15. Yong, MR, Izatt MT, Adam CJ, Labrom RD, Askin GN. Secondary curve behaviour in Lenke Type 1C adolescent idiopathic scoliosis following thoracoscopic selective anterior thoracic fusion. Spine 2012 37(23): 1965-74. Little JP, Izatt MT, Labrom RD, Askin GN, Adam CJ. Investigating the change in three dimensional deformity for idiopathic scoliosis patients using axially loaded MRI. Clinical Biomechanics 2012 27(5):415-421. Shaw M, Adam CJ, Izatt MT, Licina P, Askin GN. Use of the iPhone for Cobb angle measurement in scoliosis. European Spine Journal 2012 21(6):1062-8. Shillington MP, Labrom RD, Askin GN, Adam CJ. A biomechanical investigation of vertebral staples for fusionless scoliosis correction. Clinical Biomechanics 2011; 26(5): 445-51. Askin GN. Scoliosis Management Today. Paediatrics and Child Health in General Practice 2010;10:16-17. Izatt MT, Adam CJ, Labrom RD, Askin GN. The relationship between deformity correction and clinical outcomes after thoracoscopic scoliosis surgery: A prospective series of 110 patients. Spine 2010; 35(26): E1577-85. Mayo AE, Labrom RD, Askin GN, Adam CJ. A biomechanical study of top screw pullout in anterior scoliosis correction constructs. Spine 2010; 35(13):E587-E595. Adam CJ, Askin GN. Lateral bone density variations in the scoliotic spine. Bone 2009; 45(4):799-807. Hay D, Izatt MT, Adam CJ, Labrom RD, Askin GN. Radiographic outcomes over time following endoscopic anterior scoliosis correction: A prospective series of 106 patients. Spine 2009; 34(11):1176-84. Hay D, Izatt MT, Adam CJ, Labrom RD, Askin GN. The Use of Fulcrum Bending Radiographs in Anterior Thoracic Scoliosis Surgery: A Consecutive Series of 90 Patients. Spine 2008; 33(9):999- 1005. Adam CJ, Askin GN, Pearcy MJ. Gravity-induced torque and intravertebral rotation in idiopathic scoliosis. Spine 2008; 33(2):E30-E37. Day G, Frawley K, Phillips F, McPhee IB, Labrom RD, Askin GN, Mueller P. The vertebral body growth plate in scoliosis: a primary disturbance of growth? Scoliosis 2008; 3:3. Izatt MT, Thorpe PL, Thompson RG, D’Urso PS, Adam CJ, Earwaker JW, Labrom RD, Askin GN. The use of physical biomodelling in complex spine surgery. European Spine Journal 2007; 16(9):1507-18. Adam CJ, Cargill SC, Askin GN. CT-based volumetric reconstruction of the pulmonary system in scoliosis: Trends in lung volume and lung volume asymmetry with spinal curve severity. Journal of Paediatric Orthopaedics 2007; 27(6):677-81. Gatehouse SC, Izatt MT, Harvey JR, Adam CJ, Labrom RD, Askin GN. Perioperative Aspects of endoscopic anterior scoliosis surgery: The learning curve for 100 patients. Journal of Spinal Disorders and Techniques 2007; 20(4):317-23. Crawford JR, Izatt MT, Adam CJ, Labrom RD, Askin GN. A prospective Assessment of SRS-24 Scores after Endoscopic Anterior Instrumentation for Scoliosis. Spine 2006; 31(21); E817-E822. Izatt MT, Harvey JR, Adam CJ, Fender D, Labrom RD, Askin GN. Recovery of Pulmonary Function following Endoscopic Anterior Scoliosis Correction: Evaluation at 3, 6, 12 and 24 months after surgery. Spine 2006; 31(21):2469-2477. Adam CJ, Askin GN. Automatic Measurement of vertebral rotation in Idiopathic Scoliosis. Spine 2006; 31(3):E80-83. Adam CJ, Izatt MT, Harvey J, Askin GN. Variability in Cobb angle measurements using reformatted computed tomography scans. Spine 2005; 30(14):1664-69. Fagan AB, Askin GN, Earwaker JWS. The Jigsaw sign: A reliable indicator of congenital aetiology in Os Odontoideum. Winner of 2004 SSE Clinical Science Award sponsored by DePuy Spine. European Spine Journal 2004; 13:295-300. D’Urso PS, Askin GN, Earwaker JS, Merry GS, Thompson RG, Barker TM, Effeney DJ. Spinal Biomodelling. Spine 1999; 24(12) 1247-51. Askin GN, Hallett R, Hare N, Webb JK. The Outcome of Scoliosis surgery in the Severely Physically Handicapped Child: An Objective and Subjective Assessment. Spine 1997; 22(1): 44-50. Askin GN, West J, Clarke M, Vernon SA. Loss of vision in one eye following scoliosis surgery. British Journal of Opthalmology. 1990; 74(4): 243-4. Askin GN, Webb JK, 1991. Management of Spinal Neoplasia in “Operative Spinal Surgery”, edited by Torrens MJ and Dixon RA. Churchill Livingstone, Edinburgh, UK. Licina P, Askin GN, 2013. Posterior Cervicothoracic Osteotomy. Book chapter Chapter 61, pp 226- 229 in “Spine Surgery: Tricks of the Trade 2nd Edition” (Editors; Alexander R. Vaccaro, Todd J. Albert) Published by Thieme Medical Publishers, New York, USA (ISBN 978-1-58890-519-2). Askin GN, Bouthors C, Izatt, M, Labrom RD, Adam CJ. (2016) Maintenance of spine flexibility with the use of semi-constrained growing rods for early onset scoliosis in children. Podium presentation at the 27th Annual Scientific Meeting of the Spine Society of Australia, Melbourne Australia. Phillips N, Abel K, Rasmussen K, Ackworth J, Brady R, Walsh M, Askin GN, 2017. Clinical characteristics of children assessed for possible cervical spine injury. Presented at the 3rd Children’s Health Queensland Research Symposium, Lady Cilento Children’s Hospital, Brisbane, Nov 1. Askin GN, Izatt MT, Labrom RD, Adam CJ, 2017. Is Spine Flexibility Maintained with the use of Semi-Constrained Growing Rods for Early Onset Scoliosis in Children? ePoster presentation at the 52nd Annual SRS Meeting & Course, Philadelphia, Pennsylvania, USA, Sept 6-9. Askin GN, 2017. The role of surgery in axial lumbar spine pain. Podium presentation at the Annual Scientific Meeting of the Australian and New Zealand College of Anaesthetists (ANZCA), Brisbane, Australia, May 13. Bouthors C, Izatt MT, Adam CJ, Labrom RD, Askin GN, 2017. Maintenance of spine flexibility with the use of semi-constrained growing rods for early onset scoliosis in children. Podium presentation at Global Spine Congress, Milan, Italy, May 3-6. Davis CM, Grant CA, Contractor PD, Pearcy MJ, Askin GN, Labrom RD, Izatt MT, Adam CJ, Little JP, 2017. Analysis of pedicle morphology in adolescent idiopathic scoliosis patients and non-scoliotic healthy controls using MRI scans. Podium presentation at 28th Annual Scientific Meeting of the Spine Society of Australia, Hobart, Australia, April 7-9. Davis CM, Grant CA, Contractor PD, Pearcy MJ, Askin GN, Labrom RD, Izatt MT, Adam CJ, Little JP, 2017. Progressive changes in pedicle morphometry and neurovascular anatomy: adolescent idiopathic scoliosis patients versus non-scoliotic healthy controls. Podium presentation at 28th Annual Scientific Meeting of the Spine Society of Australia, Hobart, Australia, April 7-9. Grant CA, Newell N, Izatt MT, Askin GN, Labrom RD, Adam CJ, 2017. Change in cross sectional area of the spinal cord and canal in healthy and scoliotic adolescents over a one year time period. Podium presentation at 28th Annual Scientific Meeting of the Spine Society of Australia, Hobart, Australia, April 7-9. Reynolds LA, Izatt MT, Labrom RD, Askin GN, Pearcy MJ, Adam CJ, 2017. Is vertebral rotation correction maintained after thoracoscopic scoliosis surgery? A low dose CT study. Poster presentation at 28th Annual Scientific Meeting of the Spine Society of Australia, Hobart, Australia, April 7-9. Contractor PD, Izatt MT, Labrom RD, Adam CJ, Askin GN, Grant CA, 2017. The contribution of thoracic vertebral growth to overall standing height increase in healthy adolescents and adolescent idiopathic scoliosis patients. Poster presentation at 28th Annual Scientific Meeting of the Spine Society of Australia, Hobart, Australia, April 7-9.